Welcome back! I'm so glad you could join the Stampin' Up! Artisan Design Team for our last Blog Hop of June! Today we are featuring all new projects with all new products from the 2013-2014 Stampin' Up Annual Catalog! You might have just arrived from Jeanna’s blog. If not, make sure you go all the way around the hop to get to her terrific project! Today I am sharing a set of cards using the Really Good Greetings Stamp Set and the Abc-123 Sketch Alphabet & Numbers Stamp Set in an unusual way. Geometric patterns in stamps or made with stamps are really hot right now, and I thought it would be fun to use the Sketch Alphabet letters to make some different patterns. I selected the letters O, I, T and U as they are symmetric which makes for easier pattern making. For each card I started by making the pattern with the letters, then stamping the greeting, mounting the pieces on cardstock with a matching ribbon border and then attaching that to a card front with Stampin' Dimensionals. I started with a piece of Naturals White Cardstock, and the colors I used are Pistachio Pudding, Calypso Coral, Strawberry Slush, Smoky Slate, Crisp Cantaloupe, Baked Brown Sugar and Coastal Cabana. I chose 3 of the colors for each card in several different combos. The card on the left has the letter "I" stamped in rows alternating Coastal Cabana, Strawberry Slush and Crisp Cantaloupe, the greeting is stamped in Coastal Cabana, and it was mounted on Crisp Canataloupe with matching Stretch Ruffle Ribbon at the bottom. The card on the right has rows of the letter "O" stamped with Pistachio Pudding, Smoky Slate and Strawberry Slush, the greeting stamped in Strawberry Slush and then mounted on Strawberry Slush with the matching ribbon again. Here is a close-up of these two cards. Here is the second set of cards. The card on the left has rows of the letter "U" which I turned up and down as I went down the row in a color combo of Coastal Cabana, Calypso Coral and Smoky Slate, greeting stamped in Calypso Coral and mounted on Coastal Cabana with matching ruffle ribbon. 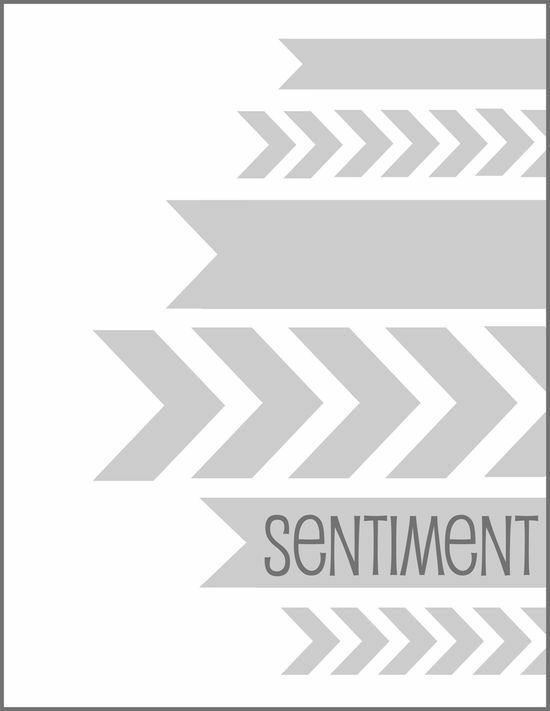 (I was originally going to use the greeting "I miss you already" on this card because of the "U", but the other greeting worked better with this design.) The card on the right has the letter "T" which I turned up and down in two columns in Crisp Cantaloupe, Pistachio Pudding and Baked Brown Sugar, the greeting is stamped in Baked Brown Sugar and is mounted on Pistachio Pudding Cardstock with matching ruffle ribbon at the bottom. I also splattered the card fronts around the edges using some of the same ink colors and my large Aqua Painter. There is an awesome tutorial on using the Aqua Painters to make splatter on the Stampin' Up! Blog here. I used the first technique to get small splatters. Well, that is all for today. You’ll want to join us again next Wednesday as we feature another hop with all new projects featuring lots of new products from the new catalog! And, don’t forget to click below to get to Sarah’s Blog for the next stop on the hop. You won’t want to miss her lovely project. Thanks for stopping by! Welcome back! I'm so glad you could join the Stampin' Up! Artisan Design Team for our next Blog Hop of June! 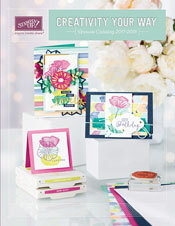 Today we are featuring all new projects with all new products from the 2013-2014 Stampin' Up Annual Catalog! You might have just arrived from Jeanna’s blog. If not, make sure you go all the way around the hop to get to her terrific project! Today I am sharing a scrapbook page that I made about my fur baby Monty. I call him "snuggly" all of the time, and I wanted to capture the story of how snuggly he really is. I found 4 recent pictures of him doing just that, and there were dozens more I could have used! I changed all the pictures to black and white, and printed them together on one piece of photo paper. I used the Quatrefancy Suite of products. I started with a strip of the Quatrefancy Specialty Designer Series Paper along both sides of the page, and stitched it down. I can't seem to stop stitching on my projects lately! Then I added some layers of the paper along with one of the prints from the new 2013-2015 In Color Designer Series Paper Stack. Have you seen the new patterns in these! I love them. For the title, I used the Abc-123 Outline Alphabet & Numbers Stamp Set stamped in Smoky Slate Ink. It is layered on Basic Gray Cardstock, and then I used two of the Essentials Hardware Clips to accent it even further. It is adhered with Stampin' Dimensionals. The journaling is done on a piece of Whisper White Cardstock. I stitched around the banner shape, and then colored the resulting border with a Smoke Slate Stampin' Write Marker. Along the left edge I added blocks of the patterned papers, some stamped and punched images using the Mosaic Madness Clear Bundle and some banners of patterned papers and also stamped images. I also made a little sub-title banner using a stamp from Really Good Greetings stamped in Smoky Slate, and layered on top of a piece of the Smoky Slate Chevron Ribbon. Some Silver Mini Brads round out the page. Today I am sharing a couple of cards that I made recently. The first card was inspired by a color combo that I pinned recently. In Stampin' Up! colors, I saw this as Summer Starfruit, Gumball Green, Pink Pirouette, Smoky Slate and Midnight Muse. Here is the first card based on that color scheme. I used Smoky Slate Cardstock for the card base.Then I added a Gumball Green Cardstock layer embossed with the Fancy Fan Textured Impressions Embossing Folder. The three banners are Smoky Slate Chevron Ribbon, Whisper White Cardstock stamped in Summer Starfruit Ink using a border stamp from Mosaic Madness and the Blue Denim Jean Ribbon. The greeting is from Really Good Greetings and is stamped in Midnight Muse Ink on Pink Pirouette Cardstock. I pierced holes around the outside edge of this using the Essentials Paper-Piercing Pack, and then stitched it with White Baker's Twine ending it in a bow. I punched small circles of Pink Pirouette Cardstock using the circle from the Punch Pack, and then added pink sequins from my stash on top. I think if I started this card over, I would have switched used Summer Starfruit Cardstock in place of the Gumball Green, and done the banner stamping in Gumball Green instead of the Summer Starfruit. I was recently in Kansas City visiting my parents, and they needed a wedding congratulations card. So, my mom and I whipped this one up using the same layout. This time I wanted to play around with the new 2013-2013 In Colors. Can't get enough of them! The card base is Pistachio Pudding Cardstock, and the patterned paper block is the same color from the 2013-2015 In Color Designer Series Paper Stack. The banners are from the same stack, using Strawberry Slush and Coastal Cabana. The Strawberry Slush piece was cut into a banner shape, and one of the In Color Boutique Details pieces was added to the end. The Coastal Cabana patterned piece has Coastal Cabana 3/8" Ruffle Stretch Trim added to the bottom, and is adhered with Stampin' Dimensionals. Here is a closeup of the focal point. I stamped the greeting in Versamark from the Label Love Stamp Set and embossed it in Gold Stampin' Emboss Powder onto Whisper White Cardstock. It's also punched out with the Artisan Label Punch. I punched a circle of Whisper White Cardstock using the 2 1/2" Circle Punch, and pushed it into a gold ink pad that my Mom had on hand. It ended up kind of mottled, but I liked the look. So, yeah...I meant to do that! Both of these were added with layers of Stampin' Dimensionals. Some teal sequins add the final touch. Well, that is all for today. Please check back on Wednesday for our next Aritisan Design Team Blog Hop. Thanks for stopping by! Welcome back! I'm so glad you could join the Stampin' Up! Artisan Design Team for our next Blog Hop of June! 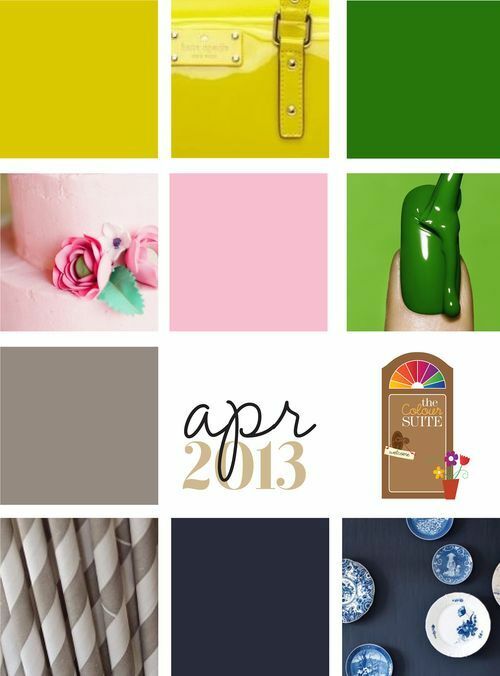 Today we are featuring all new projects with all new products from the 2013-2014 Stampin' Up Annual Catalog! You might have just arrived from Jeanna’s blog. If not, make sure you go all the way around the hop to get to her awesome project! Here is my first card for the day using the Mosaic Madness stamp set. I used my handy stamp-a-majig to allign all of the mosaic images in rows. The colors are Coastal Cabana, Crisp Cantaloupe and Strawberry Slush. Then, I used the 4 petal punch in the little Punch Pack to punch certers out of Coastal Cabana Cardstock, the small image stamped in Crisp Cantaloupe and the Strawberry Slush small cevron patterned paper. These were adhered to the center of each mosaic pattern with liquid glue, and then I machine stitched down each column as well. The card base is Coastal Cabana, and I stamped on Whisper White. Here is a close-up of the front of the card. I used the Abc-123 Sketch Alphabet & Numbers stamp set, stamped the greeting in Versamark and then used white embossing powder to complete it, along with a litlte White Baker's Twine. The colors of cardstock are Crisp Cantaloupe and Strawberry Slush, and the whole banner was adhered with Stampin' Dimensionals. My next card started with Pool Party Core'dinations Cardstock as the base. Next, I cut a piece patterned paper from the Quatrefancy Specialty Designer Series Paper into two pieces. In between, I added a piece of the printed window sheet from the same paper pack. So, the patterned paper covers the edges of the printed window sheet on the outside of the card, and then added a piece of cardstock to the inside of the card under the lower strip. Next, I stamped one of the border images from the Mosaic Madness stamp set in Island Indigo, and backed it with a piece of Island Indigo Cardstock. I adhered that to the card front. I added a piece of White Baker's Twine to the card front also. On the inside of the card, I added a strip of Whisper White Cardstock, and stamped the birthday greeting in Island Indigo ink from the Bring On The Cake Stamp Set. Well, that is all for today. You’ll want to join us again next Wednesday as we feature another hop with all new projects featuring lots of new products from the new catalog! And, don’t forget to click to get to Sarah’s Blog for the next stop on the hop. You won’t want to miss her very trendy project. Thanks for stopping by! Hello and happy Monday! I have another card to share today featuring some of the new items from the 2013-2014 Stampin' Up! Annual Catalog. I started with a strip of the gray chevron washi tape at the top of the card. Then, I added a strip of the hexagon patterned paper at the bottom of the card. I cut the letters for "hello" using the svg files for Simple Letters Punch Digital Download from My Digital Studio which I cut with my e-cutter. Then, I sprayed them with Pool Party ink, splattered them with some Calypso Coral ink and an aqua painter and dripped some Silver Smooch Spritz on them (now retired). I will miss the smooch spritz! Anyway, the letters were adhered to one of the Calypso Coral patterns in the This and That Designer Series Paper, and a I added a little piece of baker's twine to left side. It is also adhered to the card front with Stampin' Dimensionals. Some aqua colored sequins were the final touch. Here is a close-up of the card front. If I had it to do over again, I would have left a 1/4" white edge at the left edge of the card design. So, if you decide to try out this design, you can use my tip! Ok, that is all for today. More new stuff coming your way this week, so please check back. Thanks for stopping by! A blessed Sunday to you! I have another card to share today using the Show & Tell 1 and 2 Photopolymer stamp sets. I used a couple of new In Colors, Pistachio Pudding and Crisp Cantaloupe with Calypso Coral and Wild Wasabi. So glad Claypso is staying! I cut a Whisper White card base. Then, I cut another piece of Whisper White a little wider than the width of the chevron stamps. I stamped the greeting first. Next, I alternated the rows of solid and outline chevrons, changing the direction of the chevrons and the colors as I went. I attached some of the yummy new Pistachio Pudding 3/8" Ruffle Stretch Trim. This is definitely a new favorite of mine! I attached a thin strip of Calypso Coral cardstock to the left side and adhered the whole thing to the card front with Stampin' Dimensionals. Here is a close-up. I also added one last embellishment, an arrow clip from the Essentials Hardware Clips, to highlight the greeting even more. Well, that is all for today. I have a whole bunch of new things to share with you this week, so I hope you'll check back often. Thanks for stopping by! Happy Saturday everyone! I'm popping in today and tomorrow to share a couple of cards that I made with the Show & Tell 1 and 2 Photopolymer stamp sets from Stampin' Up! I love the graphic style of these sets, and that Stampin' Up is offering up some totally clear stamps now. It makes using the smaller stamps to make patterns that much easier! I used naturals white cardstock for my card base, and watercolored the edge with Gumball Green ink and an aqua painter. Next I cut another piece of the naturals white cardstock, and penciled in two lines for my banner. I wanted to use these older sequins from my stash mixed in with the banner stamps. I stamped the largest banner first so I could position it where I wanted it. Then, I glued down the sequins a few at a time and then stamped the little banner in between and repeated until both lines were filled. Colors used are Gumball Green, Island Indigo and Midnight Muse. I decided to give the main greeting banner more focus, so I stamped it again and popped it up with Stampin' Dimensionals. I thought about trying to erase the pencil banner line, but I was afraid the sequins would come loose. I think it looks fine as part of the design. So, there you have it. You can purchase the Show & Tell 1 and 2 stamps sets as part of a bundle with the Seeing the Possibilities Online Class by clicking on the image below. Well, that is all for today! Please stop by tomorrow for another card featuring the images in these sets. Thanks for stopping by! Welcome back! I'm so glad you could join the Stampin' Up! Artisan Design Team for our first Blog Hop of June! Today we are featuring our Facebook projects from May. You might have just arrived from Jeanna’s blog. If not, make sure you go all the way around the hop to get to her clever and yummy project! Sometimes it's easy during the creative process to get into a rut and keep making the same style of projects over and over. It's good to challenge yourself: make a simple card if you usually make complicated ones or a one-layer card if you usually layer it up. For today's project, I challenged myself to make a masculine card. I had to keep myself from adding ribbon, jewels, or lots of other embellishments. I used a terrific patterned stamp set, some coordinating patterned papers, and one wood button with some twine added. I think it looks simple, classic, and masculine. So, I met my challenge, and now I'm ready for Father's Day in June! Win, win. Here is a close-up of the card front. For just a little added depth I curled up the ends of the banners. Also, I started with the card sketch below as my inspiration. I love Pinterest! It's such a great place to keep lots of creative inspiration. Well, that is all for today. You’ll want to join us again next Wednesday as we feature another hop with all new projects featuring lots of new products from the new catalog! And, don’t forget to click to get to Sarah’s Blog for the next stop on the hop. You won’t want to miss her very trendy Father's Day card. Thanks for stopping by! Welcome back! Today, I have a couple of projects to share as well as to announce the winner of the blog candy from this past Wednesday's post. The winning post was #29 by Carey E. who said..."Love the color choice. Thanks for the chance to win Blog Candy." Carey, please go to the About Me page to the right and send me an email with your address. I'll send your new items right out! Today is the last day to order from the 2012-2013 Stampin' Up! Catalog, and I have another installment of something old, something new to highlight. Here is the something "old", although some of these items will still be available in the new 2013-2014 catalog. Retiring items include the Distressed Dots Background stamp, which I used here for the embossed resist technique. The card base is Very Vanilla Cardstock, but I added a layer of the notebook pattern from the Storytime Designer Series Paper (retiring). I added a layer of First Editiion Specialty Designer Series Paper (also retiring) which I stamped with the dots in Versamark, heat embossed in Clear Stampin' Emboss Powder and then sponged Riding Hood Red (retiring color) ink over the top. This was stitched to the card front as well. The ribbon is Riding Hood Red 3/8" Taffeta Ribbon wrapped around the card front, which I will also miss. Next I stamped the cake and greeting from the Best Of Birthdays Clear-Mount Stamp Set in Versamark and embossed with White Stampin' Emboss Powder onto Crumb Cake Cardstock. I colored the image in with Stampin' Write Markers (Riding Hood Red, Baja Breeze, Basic Gray and Daffodil Delight). I matted that to a piece of Baja Breeze from the Storytime Designer Series Paper (retiring). Those two layers were stitched together and adhere with Stampin' Dimensionals. The final accessory is the arrow clip from the Hung Up Cute Clips which will be in the new catalog. On to the something new! This card features the Really Good Greetings stamp set. The card base is Whisper White Cardstock, with two different patterns from the Gingham Garden Designer Series Paper. Next is a layer of Whisper White Cardstock, embossed with the Perfect Polka Dots Textured Impressions Embossing Folder Die with the debossed side up. I punched a circle of Daffodil Delight Cardstock with the 2 1/2" Circl Punch and stamped the greeting with Melon Mambo ink. Next I diecut Pear Pizzazz (a returning color) using the Little Leaves Stampin' Up! Sizzlits Die. To finish I punched flowers using the Punch Pack from Melon Mambo Cardstock, and attached them to the leaf die cut with White Baker's Twine and French knots. Here is a close-up of the card front. The yellow circle was attached with Stampin' Dimensionals to the white piece, and Daffodil Delight 1/2" Seam Binding Ribbon tied around the whole piece. Then, this piece was attached ot the card front using Stampin' Dimensionals. 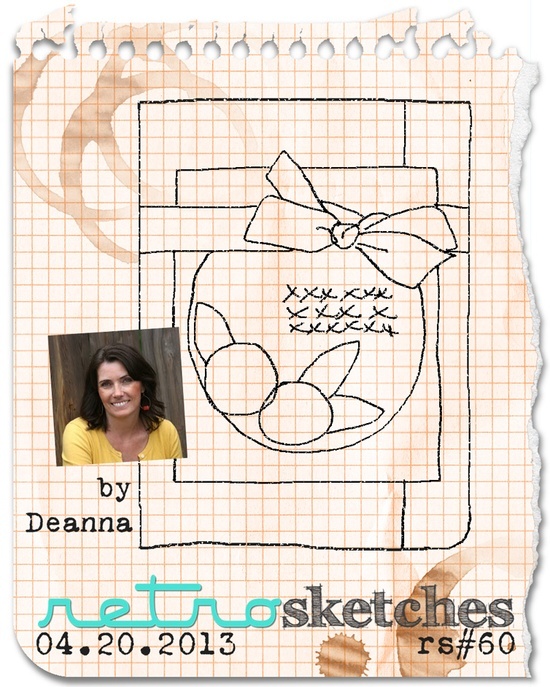 My inspiration for this card layout was from Retro Sketches number 60 as shown below. Well, that is all for today. Thanks for all the lovely comments on my last post, and thanks for visiting me throughout the year! I'm really enjoying creating and sharing everything with you here on my blog. Thanks for stopping by!